"Made like a gun, goes like a bullet"
So many Enfield stories. So little time! View as flipcard, sidebar, mosaic. 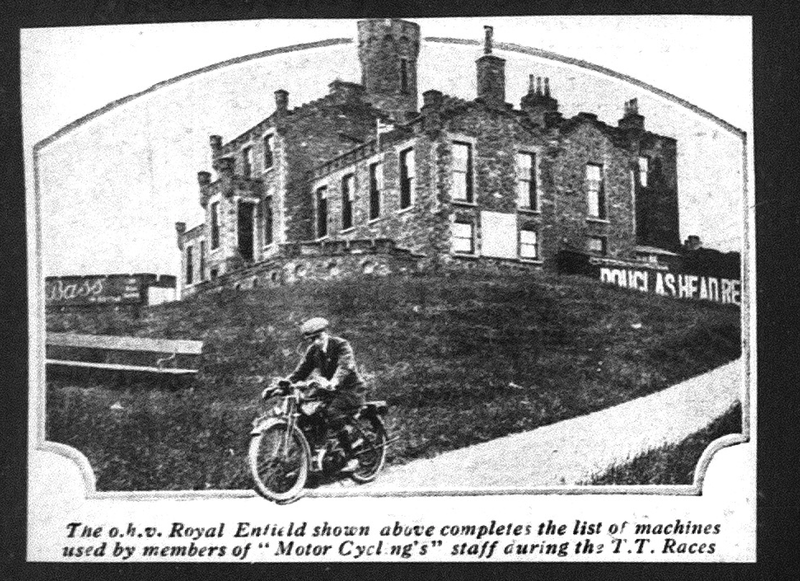 The Douglas Head Hotel is now an apartment complex, unfortunately Google Street View does not cover the road on which that motorcyclist was, it is a bit further than where this picture was taken. Four reasons why Royal Enfield should make a V-Twin. Royal Enfield->Enfield->Royal Enfield in India? We've discussed in the past the Enfield Mofa. Here however, is an article with much better pictures. 200 mpg and 0.8hp! Resurrected Norton and ever-alive Royal Enfield will display bikes in the Toronto Show in December.